The link to The Official Royal Wedding Programme that we provided on this site would allow you to view the programme but you weren't able to print or save the programme which many of our readers found frustrating as they wanted to have a souvenir copy to keep. Thanks to one of our readers we are now able to provide you with a link to Download The Official Royal Wedding Programme. Here you will be able to save the the programme as a pdf file and print it or just print it directly. Many of you have also asked where you can actually purchase an original hard copy of The Official Royal Wedding Programme to keep as a souvenir as you were not able to make it to London on the day. We have not been able to find anywhere authorised to sell copies yet but have approached the publisher Haymarket Publications, to find out if it will be possible. As soon as we have an update on this we will publish it here for you. 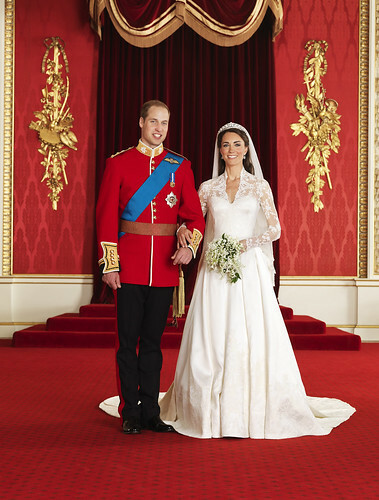 View Official Royal Wedding Programme Online. I have a little suggestion. Is that possible to sell the program from every local Royal Mail Post Office? so that everyone can easily buy them? Thanks a lot. It is possible to buy copies direct from Haymarket Publications at £2.71 (including postage). Join in and post a comment!